R.B. Enterprises is your automatic lubrication and greasing systems specialist and the authorized Groeneveld distributor for Central Ontario. 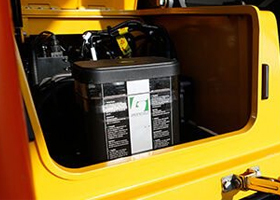 We provide complete lubrication solutions to manufacturers, trucks and heavy equipment. Automatic lubrication can reduce your maintenance costs, increase your productivity and result in higher profitability. We serve Barrie, Orillia, Gravenhurst, Huntsville, Parry Sound, Midland, Collingwood, Owen Sound, Hanover, Brampton, Vaughan, Mississauga, Toronto, Markham, Oshawa, Belleville with professional heavy equipment maintenance and repair services.